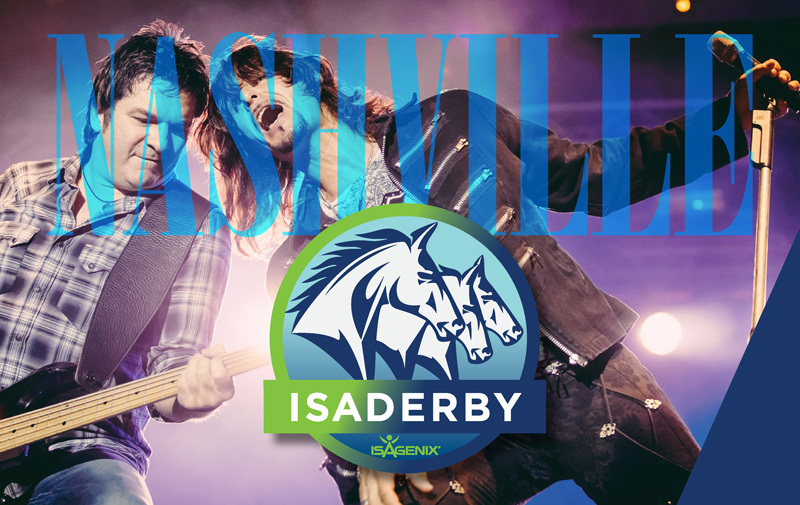 The biggest global event on the Isagenix® calendar is coming up and IsaDerby Nashville is your ticket to this event! Earn your spot to Nashville – Music City, U.S.A. – to experience everything that Global Celebration 2018 has to offer. Think you have what it takes? Then it’s time to push your limits and take your business to the next level with IsaDerby Nashville. We’re doing things a little differently and mixing it up this time round, so be sure to check out the official flyer here or at ANZ.IsaDerby.com for contest rules, FAQs, criteria and how to qualify. You can earn your spot on this trip-of-a-lifetime simply by building and strengthening your business through duplication in your team. So, if you’re ready to test your leadership skills and take your business to new levels in 2018, keep your goals in focus with IsaDerby Nashville. Contest open to Australian and New Zealand Active Associates only. Participation constitutes your full and unconditional agreement to these terms and conditions and any promotion rules, FAQs or guidelines posted and the decisions of Isagenix, which are final and binding in all matters related to the contest. Re-entry points will be calculated as part of the original organisation. The original Enrolling Sponsor will be awarded any eligible enrolment points if a placement change occurs. Prize is not transferrable, non-refundable and cannot be redeemed for cash value. International flights must be redeemed with the Isagenix travel agent. All winners must have a valid passport and are responsible for their own visa or ESTA for travel to the United States (if applicable). Contest rules are subject to change. Isagenix reserves the right to audit, adjust or deny any volume, compensations, recognition or other incentives awarded during or as a result of this contest to ensure the spirit of the contest is achieved. Associate enrolments and product orders that are deemed, in the sole discretion of Isagenix, to be solely for contest advancement may not be counted in the contest. All members are subject to standard compliance reviews both during and after the close of the contest; prizes may be withdrawn by Isagenix at any time. Outstanding compliance matters will affect eligibility for the final prize. All behaviour must be in accordance with the Code of Ethics and Policies and Procedures, available at ANZ.IsagenixCompliance.com. Any person who attempts to manipulate the Compensation Plan or the contest or who otherwise attempts to circumvent the rules, forfeits any and all rights to points and to receive any prize and will be disqualified from the contest. Rewards may be recouped in the event of refunds of product sales used to qualify for the contest.